Since 2015, there’s been a big uplift in the number of millennial mothers carrying out brand-related activities on Facebook, Twitter and Instagram. It’s now over half who are following new brands, visiting their pages or asking them questions on these platforms – up from less than a third back in 2015. 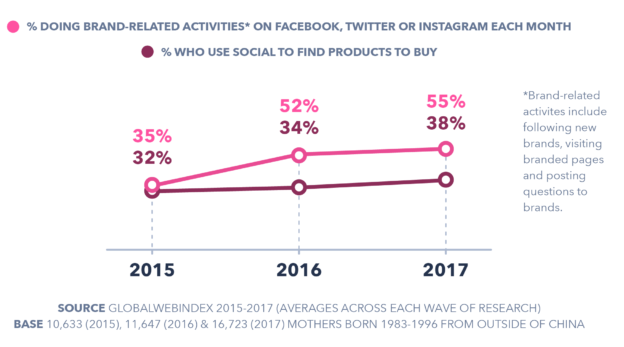 Over the same time period, the proportion of millennial mothers who use social media to share details of their daily lives has dipped slightly, while there’s been increases for more purposeful motivations like finding products to buy. 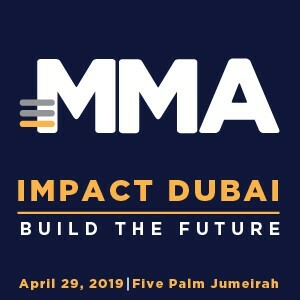 This is a sign that millennial mothers’ networking behaviors are becoming less centered around sharing content about their daily lives and more orientated around fulfilling commerce and brand-related activities which, until recently, have laid outside the social arena. Millennial mothers in 2017 are defined as female internet users born 1983-1996 who have at least one child aged 16 years or below.